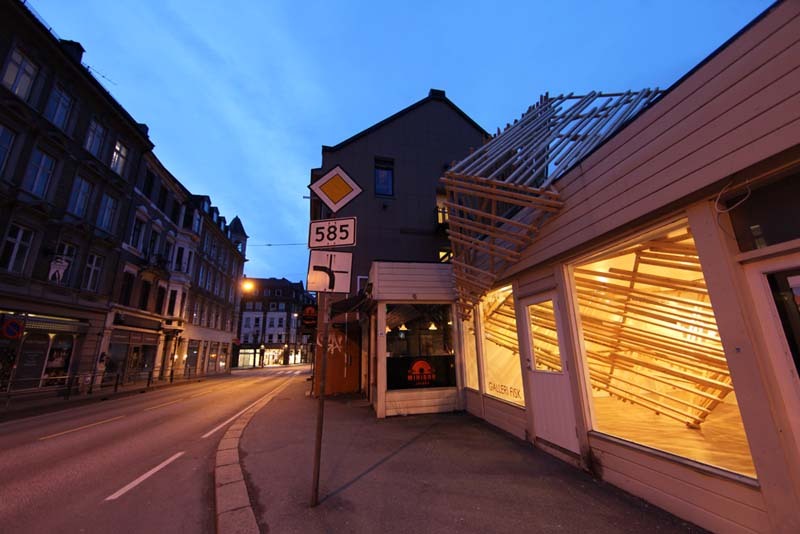 This past March, during an ordinary week, a giant wooden cube seemingly crashed through the roof of Galleri Fisk in Bergen Hordaland, Norway, with the largest part of the cube occupying the building’s interior, and approximately one quarter of it sticking out from the rooftop. Then, after three days, it suddenly disappeared. There was no actual crash but, instead, environmental artist Hidemi Nishida’s installation Fragile Invasion took over the gallery. Nishida creates temporary shelters to make people aware of their surrounding environment, often organizing happenings in these shelters. In the case of Fragile Invasion, the happening seems to have been the installation itself. 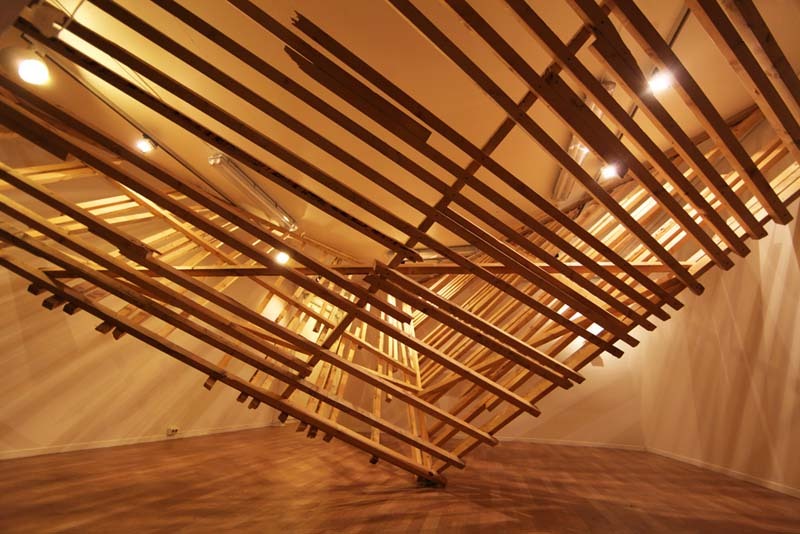 This entry was posted in Architecture, Art, Just Plain Cool, Stuff We Like. Bookmark the permalink.